View More In Ventilation Equipment - Page 2. Need more air circulation? Add a Grandio Louver Window to your greenhouse. 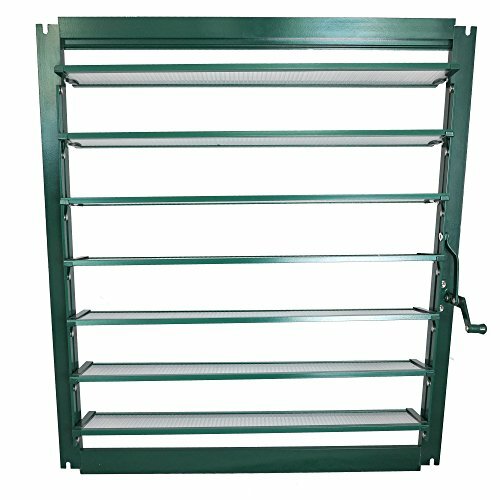 Louver window frame comes powder coated in green, with 6mm twin wall polycarbonate panels. Fits both Ascent and Elite Grandio Greenhouse models. If you have any questions about this product by Grandio Greenhouses, contact us by completing and submitting the form below. If you are looking for a specif part number, please include it with your message.